Our Aluminium Panels are simply stunning. They feature an advanced, highly durable, and extremely smooth photo surface which is also UV resistant. By putting your images on Aluminium, there is no need for a frame. These panels come with a 5/8″ wood mounting block that adheres to the back. Just put a nail in the wall and hang the panel. Once hanging, the panel appears to float off the wall, making it not only unique, but a beautiful addition to any room. Smaller panels include an easel back for tabletop display. 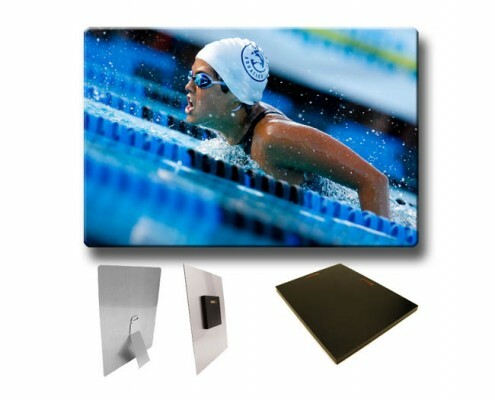 These .045” aluminum panels come in a variety of sizes to choose from.